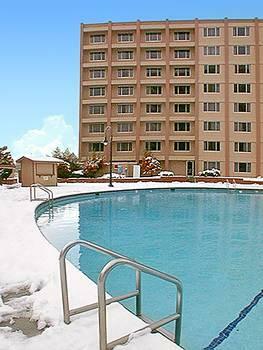 Value priced rooms centrally located in South Lake Tahoe, NV! 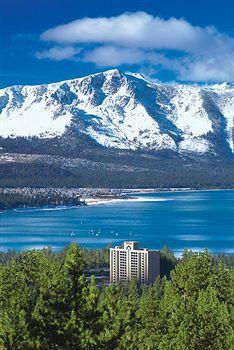 Features: Horizon Casino Resort Lake Tahoe provides plenty of on-site entertainment in one convenient location. 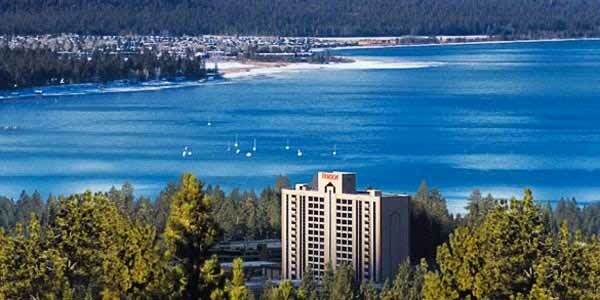 Horizon Casino Resort South Lake Tahoe has numerous on-site eateries to keep you well-fed too. Why We Stay: Horizon Casino Resort Lake Tahoe offers visitors so much to do that guests don't need to drive or go anywhere else. The Casino: Guests at Horizon Resort Casino Tahoe love trying their hand at the slot machines here and seeing if they can make a small fortune. The Eateries: The guests at Horizon Casino Resort near Heavenly love being able to fuel up on caffeine at Starbucks, comfort cuisine at Four Seasons Restaurant, and international food at Town Square Buffet. Horizon Casino Resort South Lake Tahoe guests won't go hungry here. The Entertainment: Horizon Resort Casino Tahoe has an on-site video game arcade, movie theater with stadium seating, the largest outdoor pool in Lake Tahoe, a gift shop, a boutique, a workout room, and a business center. Inside Knowledge: Horizon Casino Resort Lake Tahoe guests can put their wallets away, when it comes to parking fees anyways. 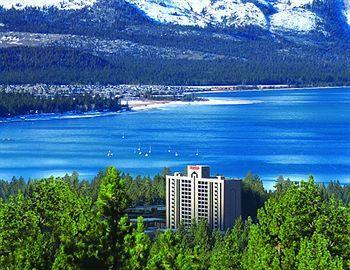 Horizon Casino Resort South Lake Tahoe offers free valet parking and free self parking. Do Keep Clean: Guests can keep their clothing fresh thanks to the on-site laundry service at Horizon Casino Resort Lake Tahoe. 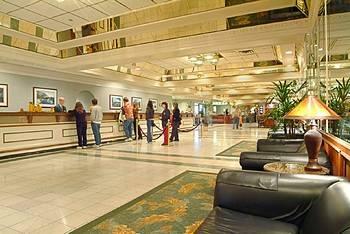 Do Work: Horizon Casino Resort South Lake Tahoe's business center is available for guest use 24 hours a day. Don't Leave Empty-Handed: With Horizon Casino Resort Lake Tahoe's Piccolito Petes Boutique, an on-site jewelry and clothing boutique, and Accent Gift Shop, guests are able to easily find gifts to bring back to their loved ones at home. Don't Get Flabby: The 24 hour workout room at Horizon Casino Resort Lake Tahoe is free for guests to use. Get a room with a view while you're at the Horizon Casino Resort. Sprawl out on either one king bed or two double beds. When you're itching to get onto the World Wide Web, you can use dial-up Internet access for a fee. You'll love being able to get entertaining pay movies on the TV. 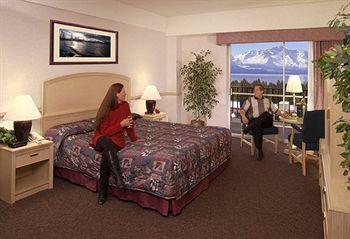 Other convenient amenities in the Lakeview Room include a clock radio, hair dryer, and iron/ironing board. 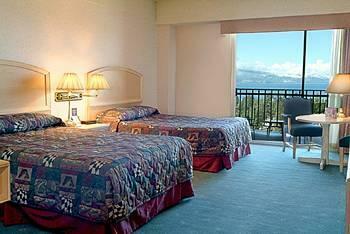 Take your pick: The Standard Room can come with either one king bed or two double beds. Feel connected even when you're away from home, thanks to dial-up Internet access in this room. When you're taking a break from tearing it up on the slopes, you can watch TV shows and pay movies. You can keep time with the clock radio, make your hair look gorgeous with the hair dryer, and keep your clothing crisp with the iron/ironing board. Aspen Lounge Lake Tahoe, located inside Horizon Casino Resort, is a lively dance club that features amazing music performances and nightly drink specials. Weave your way through the fun blinking slot machines and maybe even stop at a few to try your luck at winning the big bucks. Once you're satisfied, you can make your way to this club in the middle of the casino floor. There is no cover charge here.